Janine Kishi, Claudia’s sister, isn’t mean, in either the cruel sense, or the average sense of the word. 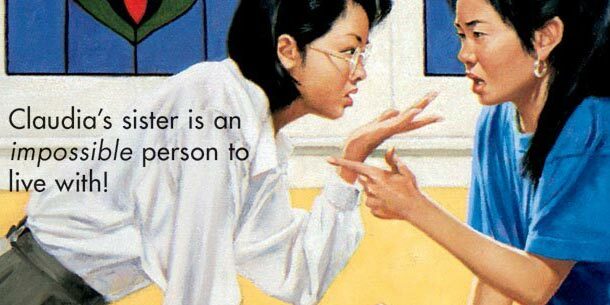 So, why is the 7th book in the Baby-Sitters Club called Claudia and Mean Janine? Because Claudia yells at her a few times? Because Janine spends a lot of time on her computer? Because Janine’s quiet? Claudia and Mean Janine starts out with a look in on the Kishi’s world. Our now-13-year-old Claudia is dashing off to art class, sixteen-year-old Janine is heading to the university, Mr and Mrs Kishi are rushing off to work (partner in an investment business in Stamford and head librarian at the local public library respectively), and Mimi is making everyone breakfast and being lovely, as usual. “And I do not know what I would do if I did not have you to take care of,” said Mimi earnestly. The adorableness from Mimi continues, leading up to an eventful night, where Claudia, Janine and Mimi are the only ones home. “What shall I fix tonight, my Claudia?” Mimi asked. All of this focus on time with Mimi should have set warning bells off. But, I didn’t see what was coming, or remember it from childhood. Claudia and Janine are in the kitchen, having one of their sort-of argument/conversations, when they hear a “thump” upstairs. Both their parents are still out, they don’t have any pets that could make thumping noises, and Mimi has only recently gone to bed, saying she was a little tired. They tear upstairs to find Mimi unconscious on the floor next to her bed, half-undressed. Mimi has had a stroke. “How was school?” I asked. “What?” She let go of Lucy’s hands. “I don’t believe you!” I exploded. “What?” Janine said again. She stood up. I stood, too, and we faced each other. Jamie looked on with interest. Janine glared at me. Then, to everybody’s surprise, I actually raised me hand as if to hit her, but I dropped it quickly. Poor Janine, and Claudia – what the hell what that? Her reaction makes little sense, to the situation, or to the character, who is usually so…sensible (well, when you compare her to the other girls in the BSC). Perhaps her outburst could be attributed to anxiety over Mimi, but still. It’s a wonder Mrs Newton still hires these girls to sit for her children, considering the last time we had a big Newton sitting job, it ended with the BSC trying to smush napkins in each other’s faces. And after an outburst like that, it’s no wonder Janine escapes to her room most of the time; when she tries to socialise, Claudia screams at her! And, for the record, Claudia, physics and astronomy are a fascinating combination of science and…what do you think she was going to say? History? Art (which would mean Janine may have been trying to find a way to make her studies accessible to Claudia)? We’ll never know, now – thanks a lot, Claudia! Mimi starts to regain some movement after her stroke – communicating with Claudia by blinking, when all she can move is her eyes. As she regains movement of other parts of her body, the doctors explain that she’s probably permanently lost the use of one of her hands, and her mind is full of blanks – she can’t remember the words for things, and speaks in Japanese half the time. Mimi writes this one time they visit her in hospital, and it’s interpreted as “happy to see children” – kodomo means “children” in Japanese. Soon, she’s well enough to leave hospital, but needs to be under constant supervision, and needs the rest of the family to work with and help her to re-learn what she’s forgotten. Claudia gives up on the day-camp that the BSC has set up for the summer holidays (more on that later), and stays home with Mimi as much as possible, taking her through flash cards to re-learn words and patiently helping her with her motor skills. One of Claudia’s biggest gripes throughout the book is that Janine doesn’t help with Mimi. When Mr and Mrs Kishi head back to work, Claudia and even Mary Anne one afternoon looks after Mimi, but Janine never does. This comes to head near the end of the book, where Janine, in a moment of resignation, tells Claudia that she knows nobody wants her to be part of the family – “You’re always pushing me into my world and out of yours.” – which is a confusing moment for Claudia. Not because – as she says for most of the book – she can’t understand the words Janine uses, but because she had misinterpreted Janine’s not helping as not caring. By the end of the book, Claudia has come to an understanding about Janine, owing to her experiences baby-sitting for the Newton’s, and specifically, Lucy Newton’s christening. Claudia notices Jamie’s sudden shift in acceptance of his little sister; one moment being loving and caring to her, and the next, being bratty, making her cry, or trying to get the attention of all the adults in the room. Claudia realises this is sort of the same problem she has with Janine – everyone pays Janine so much attention (really? They seem to spend the whole book practically ignoring her and then blaming her for not being able to read their minds…), and is so proud of her all the time. Janine’s such a brilliant student, she is going to be a physicist, don’t interrupt Janine, she needs to study, etc. But deep down, Claudia loves her sister – and perhaps Janine loves her back, but just doesn’t know how to show it? Retch. 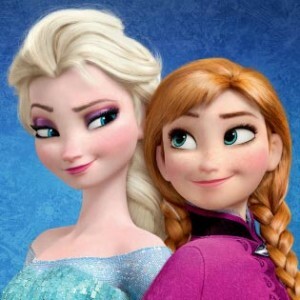 This was your typical sibling rivalry plot, and it was resolved in the way you’d expect it to in a Disney movie; mutual love for their family conquering all. Blah blah blah. The Mimi plot was the more effective one, but perhaps only because it hit close to home (recently lost my own little, lovely grandma). We have had a few precious Mimi moments in the previous six books that have each built up our picture of this well-spoken, serene, lovely old lady who adores her family and who everyone goes to for sagely advice. Her stroke leaves her disabled, confused and frustrated. There’s a particularly sad, but passing, moment when Claudia finds Mimi’s bag of knitting needles stashed haphazardly in the hall closet one day – sad because, despite any therapy Mimi has, there are things that Mimi simply will never be able to do again, since she can now only use one of her hands. The exasperation Mimi feels at her situation is most evident the day Mary Anne comes to look after her. So Mary Anne held up the next card. It showed a baseball bat – for some reason, one of the toughest words for Mimi to remember. “Buh…buh…be quiet!” said Mimi as loudly as she could. She got unsteadily to her feet. “Be quiet!” she shouted again. She started to teeter off the porch into the house. Mary Anne stood up nervously. “And leave alone! I can do myself!” said Mimi. But most heartbreaking, for me at least, was Mimi’s calm resignation, near the end of the book, when she’s talking to Claudia. The Mimi scenes are those which remind me there was an actual writer somewhere on these books, and not merely a great formula which would appeal to tweens and meet sales targets. The way she has developed and woven the minor characters like Mimi into the BSC actually makes me wonder about Ann M Martin’s other books. 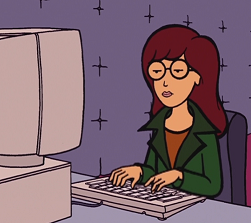 It’s interesting that during this re-read, I’ve been finding the minor characters like Mimi, Sam and Elizabeth Thomas, and Janine Kishi actually invoking the empathy and emotion or hilarity, whereas the protagonists, more often than not, have me rolling my eyes or laughing at the gall of their responses to events or people in their lives. Interesting because, when we were kids, was it not the other way around? Briefly, to the thing that happened to remind us there are four other main characters in the series – the BSC Summer Day Care. 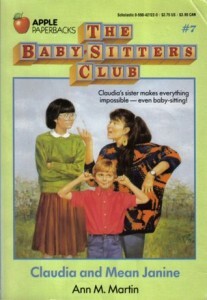 After the BSC’s success with the week-long sitting job they carried out for the Thomas-Brewer wedding last book, Kristy decides that the Baby-Sitters Club should have a play group every morning, where kids can come along and do art projects and run around the yard together and the like, for $5 a head. Stacey’s mum agrees that they can host it in her backyard, and so for a week, Kristy, Mary Anne, Stacey and Dawn (plus Mallory, who’s gone from sitting charge to baby-sitters’ helper) entertain the spawn of Stoneybrook each morning with sing-a-longs, stories and dog-washing (brief cameo made by Louie, the Thomas’ collie). The only thing worth noting is how Karen Brewer (gee, I wonder if AMM enjoys writing this character?) convinces everyone that her brother, Andrew, turns into a monster at 10am each day. Andrew goes along with it, and when the 4+ baby-sitters can’t control the bratty, prissy Jenny Prezzioso, Andrew can, with a word, thanks to this lie. The Baby-Sitters Club goes with it. Er…nice one, Karen? This won’t encourage her at all. Claudia and Mean Janine dished out plenty of outrageous outfits – and not just Claudia’s for once! 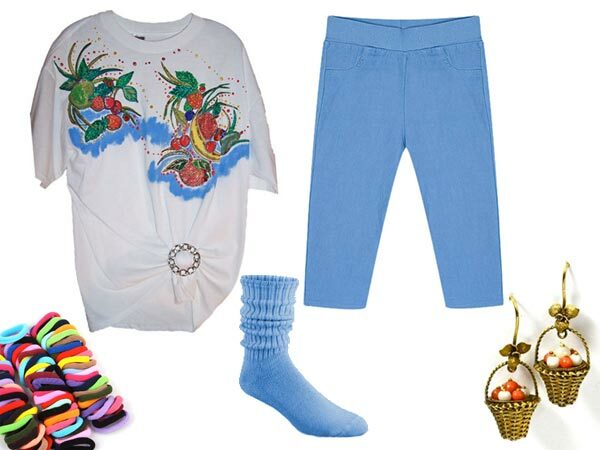 …I finished dressing in my favourite art class outfit – black jeans, a giant bright blue T-shirt, and a snake bracelet that I wore above my elbow – and ran downstairs. Um…a little normal there Claud…I dunno, can we add some yellow cowboy boots and earrings made from tea-bags? Now THAT’S the kind of fashion insanity we know and love. It was a big, loose white shirt with black splotches all over it, and white pants that came to just below my knees. My shoes (and I might point out that I’d had a fight with Mom over permission to buy them) were dainty gold sandals that laced partway up my legs. Then I put on my pink flamingo earrings and a pink bracelet that said CLAUDIA in heart-shaped beads. Finally, I braided my hair into four long braids, tied a ribbon around the top of each, and fastened the ends with butterfly clips. I know how I’m going to dress when I’m next invited to church for a christening! Claudia delightfully describes what everyone is wearing, nearly all the time. Let’s hope this trend continues in future books! I want to see at least one snap bracelet or pair of fruit earrings before we get to book ten! Book seven ends with a lead-up into the next – something we’ve not seen in any of the previous books. The girls are at a regular Baby-Sitters Club meeting, and the Pike’s call, asking for two of the BSC to go away with them all the following week on vacation to be full-time mother’s helpers. Because I know if I was taking eight children to the beach, I’d want a couple of random thirteen-year-olds tagging along… :-/ but whatever. It should make for entertaining reading. Stay tuned for Boy-Crazy Stacey, live from Sea City, New Jersey! Tags: Claudia outfit!, Jamie Newton, Janine Kishi, Jenny Prezzioso, Mimi, Stacey outfit! Lol – thanks! I make them, it’s fun! I LOVE your blog! It’s hilarious and makes me so nostalgic at the same time. I’m really happy that your friend Kerry mentioned your page at a bookclub I’m part of. Keep up the brilliant reviews! I also love the outfit images. Maybe you could also post pics of all the junk food they talk about? I used to always wonder what on earth Ding Dongs and Tootsie Rolls were! That’s a really good point – I still have no idea what a lot of the junk food Claud hides in her room is and just sort of gloss over it. Great idea! Maybe I’ll go back through the previous reviews and hide some junk food throughout. Anyway, glad you’re liking the reviews (& outfits)! Oh, and hai Kerry *waves*! I highly recommend “With You and Without You” by Ann M. Martin for thoughtful, moving, non-BSC work. Was this the book that mentioned “Auntie Nora’s swizzle sticks”? And then we never found out what they were? Aren’t swizzle sticks the colored (sometimes flavored) rock candy on a stick? BTW I love these reviews!